You can kind of see his point. It’s been 20 years since White’s solo debut, Reveillez-Vous. And since Billboard began publishing a smooth jazz singles chart in the mid-1990s, he’s tallied at least one No. 1 single from each subsequent CD. Favorites include “Caravan of Dreams,” “Midnight in Manhattan,” “Bueno Funk,” “Turn It Out,” “Talkin' Bout Love,” “Mister Magic,” “What Does it Take (To Win Your Love)” and “Bright,” the latter coming from his latest release, 2009’s Good Day. 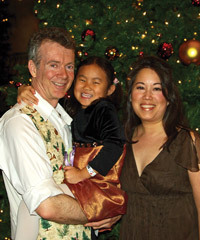 The votes of White’s fans helped him pick up three victories at the American Smooth Jazz Awards in October, the most of any artist. Why is his music so inviting? Maybe it's the catchy melodies or the way he always includes covers of baby boomer favorites. More likely, though, it's the great songwriting and exceptionally polished sounds coming from White’s nylon-string guitar. These are the strong elements that make his music consistent from CD to CD, and from performance to performance. So White’s point is that his musical direction hasn’t shifted much during the past two decades, and fans shouldn’t expect atonal riffs or screaming electric guitar solos in the near future. OK, in the spirit of acquiescence to a 56-year-old guitarist who’s entitled to a few eccentricities, let’s hear him out as he talks about a few of his memories from the past, as well as memories to come. These are just a few of his favorite things. But don’t worry. No matter what White says we’ll be back in touch next year when he releases his next CD. Meanwhile, here are a few vignettes from Peter White’s career. This month, White is once again in full swing on his annual A Peter White Christmas with his two regulars: trumpeter Rick Braun and saxophonist Mindi Abair. (The band includes drummer and vocalist Rayford Griffin, bassist Nate Phillips and keyboardist Ron Reinhardt.) The tour skipped last year as White and Braun joined saxophonist Dave Koz on a special anniversary edition of his own holiday show. For the second A Peter White Christmas, White added Braun––and a bus driver. 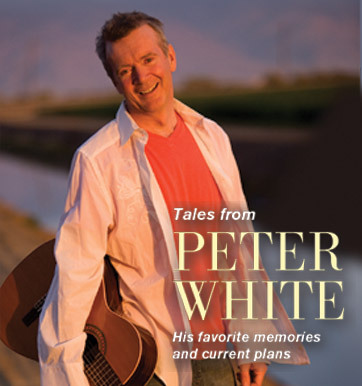 **The complete Peter White Story can be found in the December issue of Smooth Jazz News. Pick up your free copy at our radio station affiliates (see radio station page for listings), various concerts, festivals and select Southern California outlets. Or you can subscribe and receive 11 issues of Smooth Jazz News per year, mailed monthly (except January), for $35. Click here to subscribe online today. 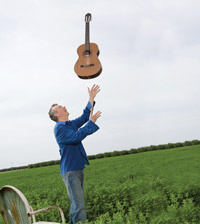 For more information on Peter White, including his complete tour schedule, visit www.peterwhite.com or White’s fan page on Facebook.